The Zamperini family has always taken a great pride in its olive growing, so much so that the farm now boasts 1500 olive trees of the most prestigious Tuscan varieties: Correggiolo, Moraiolo, Leccino ,Impollinatore e Oriolo. 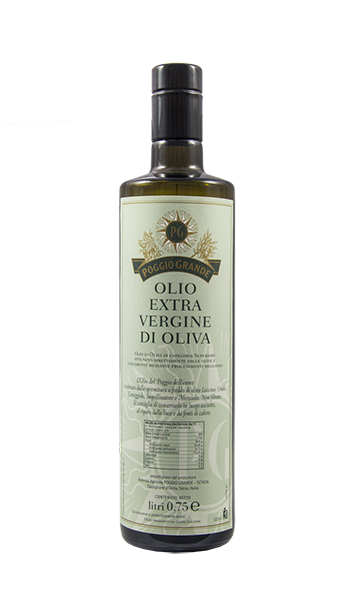 Thanks to traditional procedure and to the early pickin of the olives, the oil is characterized by very low acidity and large complex aromas. Olive varieties: correggiolo, Moraiolo, Leccino ,Impollinatore e Oriolo. Crushing and extraction: within 24 hours from the harvest. Cold extraction at Castiglione d’Orcia’s oil mill. Organoleptic features: opalescent green color, aromatic flavor, full-bodied and strong, pleasantly spicy and subtle bitter aftertaste, suitable for all uncooked dishes with pronounced flavors, and also on bruschetta, salads, grilled meats, and boiled soups.